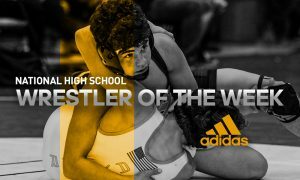 This week’s High School Wrestler of the Week is Kendra Ryan of Fenton High School in Fenton, Michigan. Ryan made history over the weekend, winning the 101-pound championship in the inaugural Michigan High School Athletic Association girls wrestling state championships. In the process, Ryan went 3-0 with three falls, all of which came in the first period. Her 2:42 of mat time were the least of any champion. 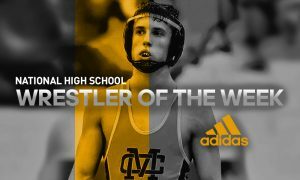 The sophomore compiled an impressive 37-4 record throughout the course of the season with the large majority of those wins coming against the boys. Earlier in the season, she claimed third in the Wyandotte Invitational and prior to the girl’s state tournament she grabbed fourth in the Flint Metro League Championships where her losses came by a combined two points.